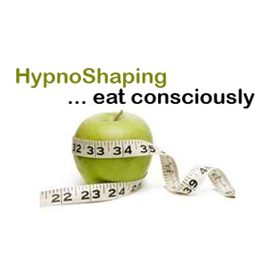 HypnoShaping is a totally unique approach to achieving your ideal size and shape. Using the powerful change methodologies of Hypnosis, Neurolinguistic Programming (NLP), mindful eating and other strategies you will learn how to align your thoughts, feelings and behaviors to be the size and shape you want to be. How to communicate with your unconscious mind with self hypnosis so that you transform unwanted habitual eating patterns. How to eat consciously, mindfully and intentionally so that you enjoy food much, much more and eat for healthy reasons. Learn about the seven different kinds of hunger and how to appropriately nourish each kind of hunger. Learn to manage your emotions directly rather than using food to change your mood. Learn how to make small changes in your eating and activity that result in big changes over time. How to listen to your body wisdom and teach your body and metabolism to process food differently. How to develop a loving, healthy relationship with your body and body image. Harness internal resources to increase your motivation and commitment to look and feel at your best! Larry has a 20 year background in training, consulting and organizational development and has offered training, coaching, consulting and presentations for 50+ organizations in the United States and Mexico. He has a Bachelor Degree in Psychology and holds numerous certifications including Master Practitioner, Health Practitioner and Trainer of Neurolinguistic Programming (NLP), Clinical Hypnotherapist, Hypnotherapy Instructor and Examiner with the American Council of Hypnotist Examiners and the International Society for Hypnotherapy Certification. Larry is also a graduate of Coach University and has served as a Life Coach since 2004. Wow! What a great class, full of insight and the tools to help one reach their goals, choose the relationship with food that you would like to have, and create the change you have been asking for with food and beyond.